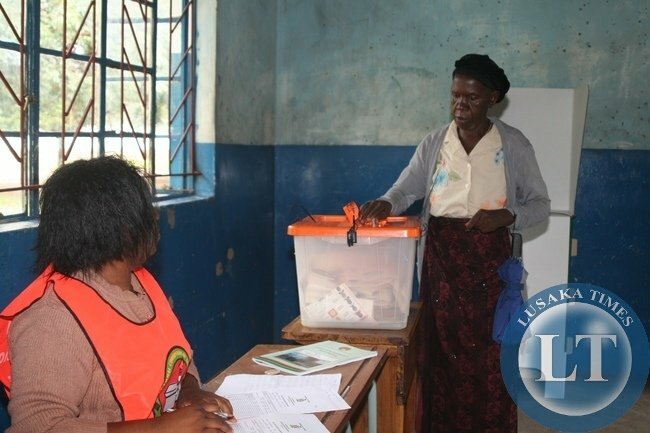 The Civil Servants and Allied Workers Union of Zambia has accused Government of diverting this month’s civil servants salaries to funding parliamentary by elections in Lubansenshi and Solwezi West. As at Tuesday, civil servants had not started receiving their September salaries. Union President David Chiyobe said in an interview that his union is not happy that a trend is developing whereby salaries are delayed whenever there is a bye election pending. Mr Chiyobe has since appealed to quickly find money to pay civil servants their delayed salaries. He accused Government of prioritize funding political events at the expense of the welfare of civil servants. ‘It has become a tradition that when we are going towards a bye election, this problem of delayed salaries comes up. It is now clear that it needs to be sorted out. Politics and workers welfare must be separated. When we don’t have a bye election nearby things are normal,’ Mr Chiyobe lamented. The Union President said that he is aware that Government must be struggling to raise salaries for civil servants. ‘If you get paid around the 18th or 19th, your calendar month comes around that month. Any delays disturbs movements and the budget, so i just call upon Government to expedite the paying of salaries,’ he said. Mr Chiyobe also revealed that some workers have now resorted to staying at home whenever there are delays in salaries. However, the treasury has released K576.6 million for civil servants salaries for the month of September, 2015. Ministry of Finance Spokesman Chileshe Kandeta confirmed the development in a statement. The release of the funds brings the total amount of funds released for payment of salaries since January to K8.6 billion. “To ensure that salaries are efficiently paid before the end of every month, all civil servants are on the Direct-Debit and Credit Clearing System. In this regard, it is expected that the released funds will be credited to the accounts of workers within 24 hours, in accordance with the service level agreements signed with various commercial banks and in the spirit of the enhanced cash and treasury management reforms which the government is undertaking,” the statement read. It said it is not the intention of government to snap the patience of workers by not paying salaries in a timely manner. Meanwhile, the Ministry of Finance as announced that in order to empowerment Zambian citizens and boost food security programs, the Development Bank of Zambia has received K171 million for purchase of hammer-mills. It also said that the Public Service Micro-Finance Company received K30 million for concessional loans to public service workers, the Ministry of Youth Sport and Child Development received K11 million for the youth empowerment program, Citizen Economic Empowerment program K10 million and Zambia Cooperative Federation received K4.2 million for farming implements. It said the treasury will intensify the issuance of treasury information briefs in order to assist the public in monitoring and evaluating the implementation of government’s developmental programs pragmatically. The PF government need gone by 1st October this year. This terrible, they have NOT paid civil servants? The PF government should file for bankruptcy. Finish reading the article before throwing insults. This PF government is working very had to uplift the social and economic conditions of the people. few days delay in paying civil servants does not warrant ”filing” for bankruptcy. its simple logic one does not need to be a rocket scientist to figure out. Please note am replying to the real Nostra….,,,one and only! Comment #1. Not ma plastic aya a PF nostra! The most useless and dumbest government ever! Civil servants should not have a “plight”. They are following respected professions. Their only plight now is to be managed by a bunch of clowns. These Bemba PFools want to turn Zambia into another DRC where civil servants survive on naked corruption. Civil Servants or PF cadres? I doubt if there’s any civil service in Zambia any more. @Ndobo, can you believe it???? SAULOSI (Elf) is alive. Is he here to save Edgar, as he did to Sata? His comments are same as when Sata fired those nurses. this is the kind of Govt we have. Do things in their interest. Any day can be a pay day even 10th of a month this is because when you get paid on tenth every month and then then get paid on 20th it means your salary has delayed by 10days. What a so called caring govt, wait for Kambwili on 19:00hrs Znbc news to issure a statment a nation will hear ati “its a globle problem”. its nathing to do wth govt or problem will go to opposition parties since their can not defend thmselfs on Znbc they have no rights to be featured. This problem can be easily solved. Just do not pay Lungu and all his Ministers and Deputy Ministers until every single other Government worker has been paid. The situation will disappear IMMEDIATELY and for good! You PF big shots please be notified that many people will lose interest in you if you delay and besides you have said Mopani will save all of jobs but big numbers keep pouring in making you liars …just tell the truth ….it really pains when they say the number to be laid off is small but the latest online says they will lay off 3800 workers… To you this is very small!!! We have been paid. I got my salary this morning. just keep quiet your ungrateful zambians. LUNGU has given you massive development of roads, clinics, schools. If you dont know how to save money its not our pblm, resign if you are a useless adult who can not budget for 40 days. This govt has other pipo to look after apart from you lazy over paid civil servants. 2016 vote Lungu. Pse PF cadres get the names of those complaining we show them who is boma. Yet the lazy bum in State house is recklessly increasing government expenditure every time there is a by election campaign with his silly directives! ! Lazy boy Jay jay, the Presidents directives are not silly, (increase of maize buying price is in the interest of the had working farmers) certainly what is silly is your inherent hatred for Edger Lungu, your hatred will take you to an early grave if you keeping eulogizing and espousing personal hatred. ! knowing you are an atheist who need prayer more than any thing else. As for me I will keep you in my prayers. Stay Blest! 18 to 18 makes it 30 days.nw am wondering why PF cadres are shallow in thinkin.surely someone got paid on 18th of last month,and reach 18th of this month has nt made 30 days.PF has failed simple.some of u your parents,brothers and sisters are in civil service and u kno how things get worse.civil servants are the implementers of govt programs and they need their pay afta implementing those programs. Please what about retirees we spend a lot of time walking and trekking back and forth but we don’t get our monthly allowance called pension. Please we worked for that money most of us did so honestly and the least we deserve is to be paid. Maybe if we had stolen to mount a mansion in chalala we would be respected but because we ended up in mutendele or Helen we don’t deserve to be insulted please Mr. President direct the Pension Fund to pay us. PF govt is a hand to mouth govt! What has BOZ PR got to do with public service microfinance ? Am pretty sure I used to get my salary at the month end when I was a civil servant back in Zambia. Have things recently changed? The strangest thing is that whenever I read about some Zambian government institution cooking the books and swindling the public and siphoning loads and loads of money, that is what I have come to expect. It doesn’t surprise me. On the other hand I’d be shocked if I read about fiscal responsibility and honesty in Zambian government. I suppose you could say I’ve set the bar very very low for this country. I thought getting paid on the 19th – 20th was good gesture by government. This is why even when I have enough money I do not pay my landlord and maid earlier than the agreed date because they might forget that I only did them a favor last. Why are these accusations of buying elections being thrown around so haphazardly? We all know this has been going on in Zambia from as far back as the Unip days. Unip was the only game in town in those days. But they still bought voters with cooking oil and all kinds of cheap goods, just so that chi Kaunda can claim more than 90% of those stúpid yes votes. Maybe Lusaka times should learn to spell, in the head line it should read “”by election”” not”” bye election”” as the word bye means good bye so does Lusaka times know something we don’t?